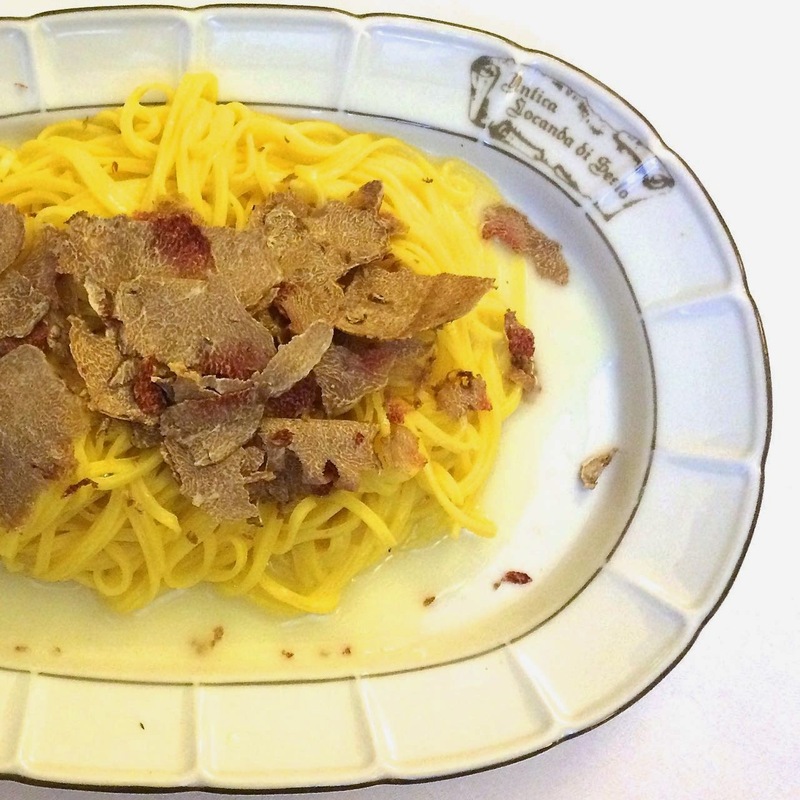 The Tuscan Chef Aurelio Barattini was one of the first people I followed when I first got started with Instagram. I remember when his son was born and over the years I have followed along on trips to the beach and New York City. 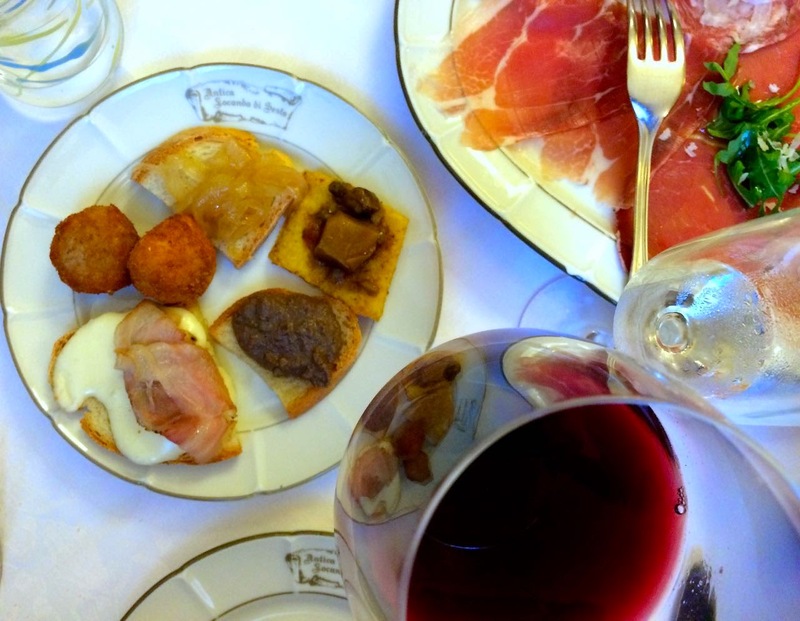 His behind the scene pictures of what he and the team of chefs at Antica Locanda di Sesto just outside of Lucca are cooking is sweet torture. 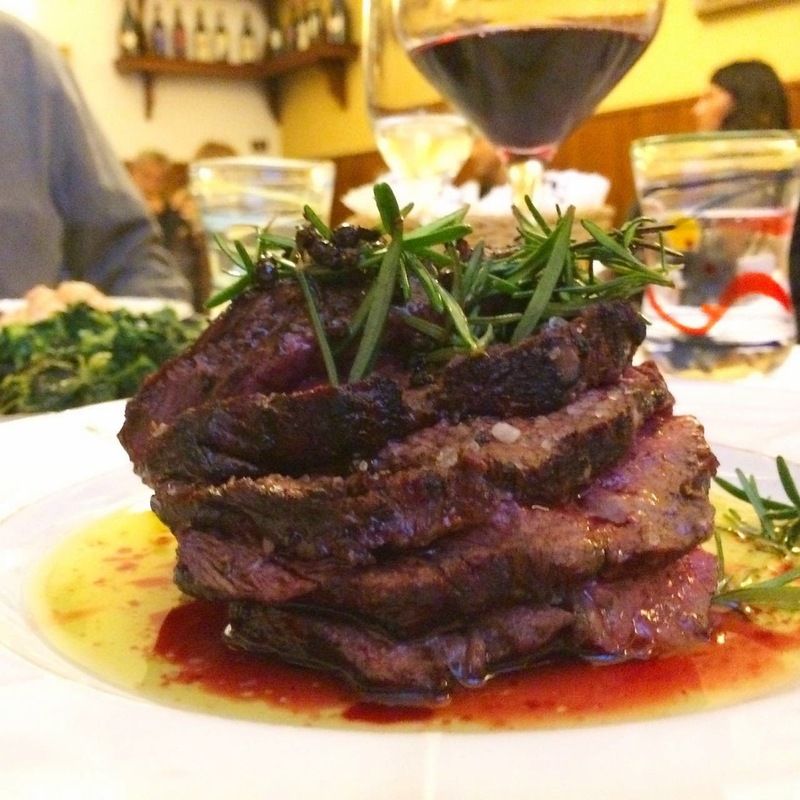 Rare Tuscan steaks, hand rolled pastas, traditional Lucchese desserts; Each shot just makes you hungry both for the food and a trip north to Tuscany. 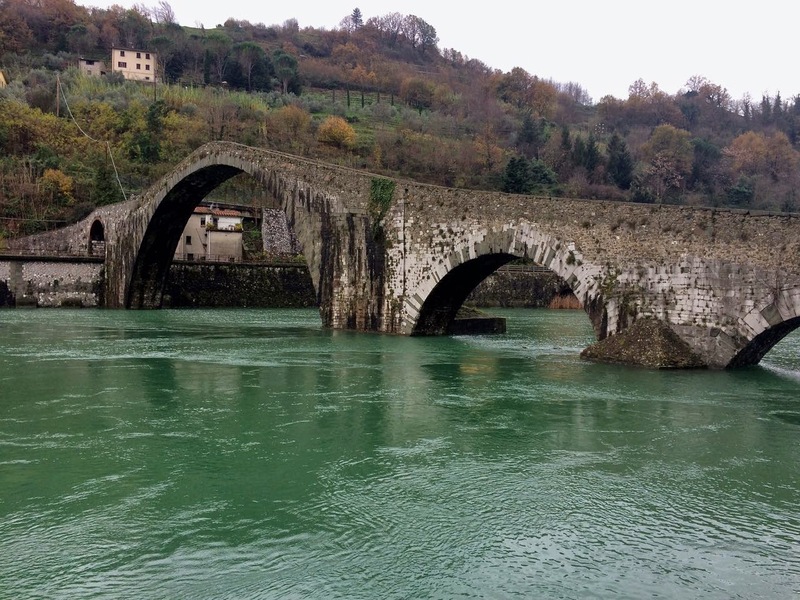 Finally after years of attempts we made it to Lucca and I met my social media pal in real life. 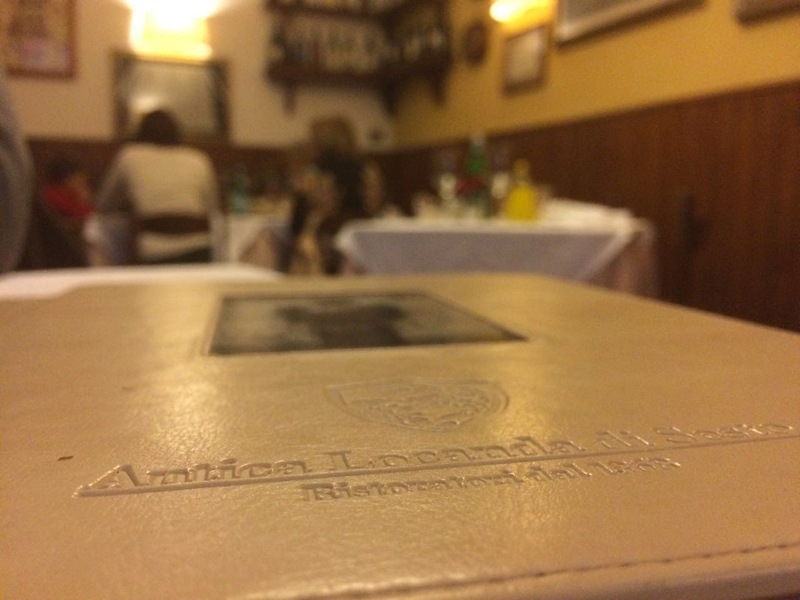 Antica Locanda di Sesto is located just outside of the pretty town of Lucca and has been serving travelers since 1368! 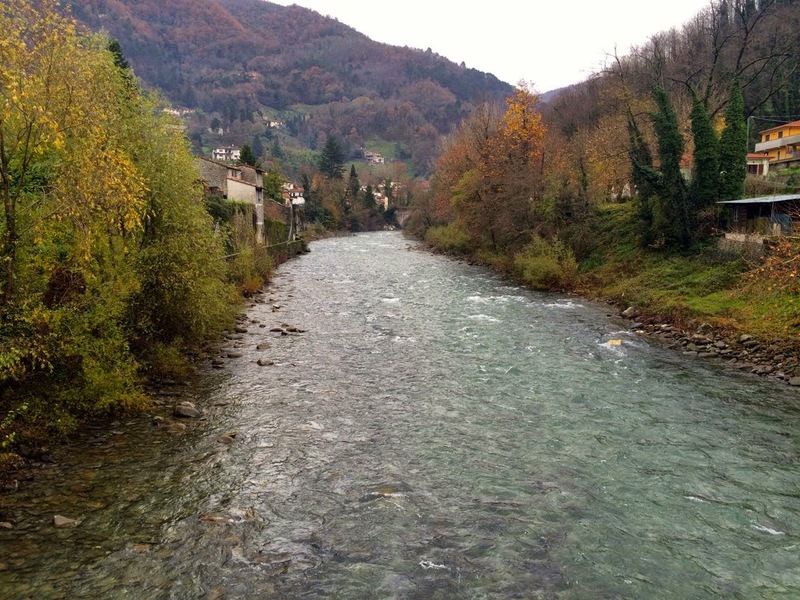 We took the long way and made a stop at the Ponte Diavola and took a walk along the Serchio river in the town of Bagni di Lucca to ensure we were good and hungry for a long Sunday lunch. Since this was our Thanksgiving weekend we, I ordered indulgently. 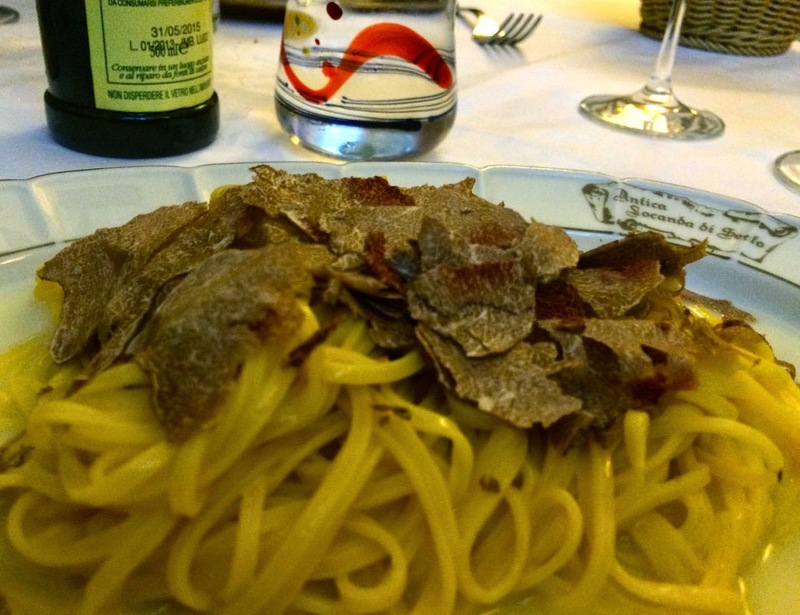 I had a plate of taglione rich and buttery and covered in shavings of fragrant white truffles from nearby San Minato. Mark, true to his nature, had a much more abstemious bowl of bean soup. 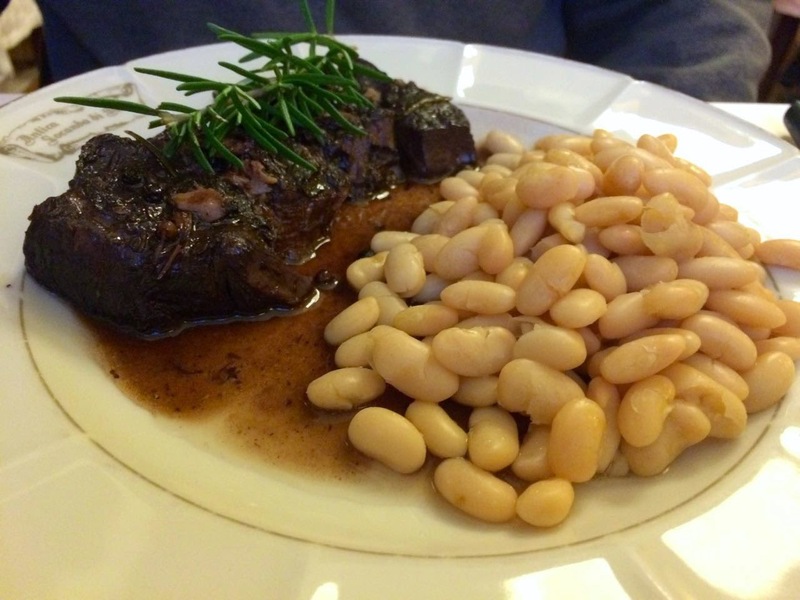 We followed up with a spicy Tuscan peposa (a peppery beef stew) and a perfectly rare slab of filet drizzled in olive oil and a scattering of rosemary. 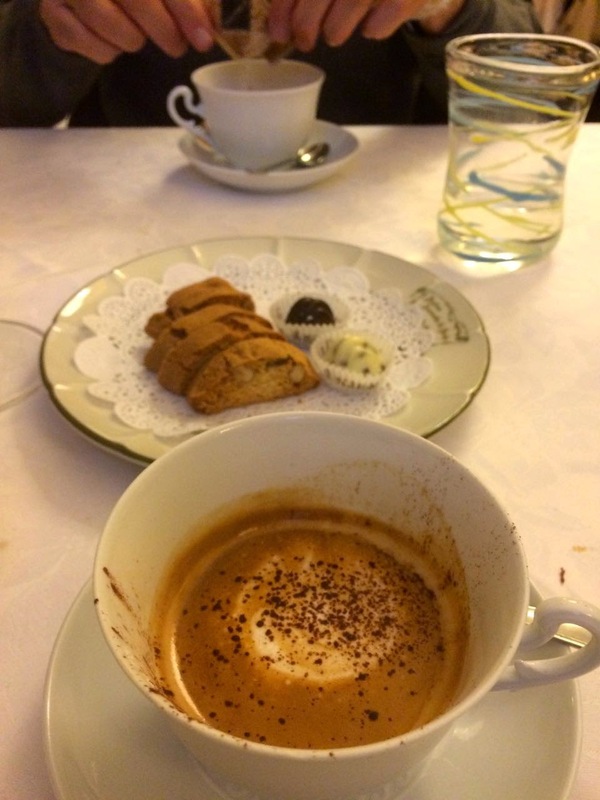 After strong coffee served in delicate cups and with a few lush chocolates to share we were holiday meal sated and we headed back to Rome.